Situated in one of the prime locations with nearby hospitals and educational institutions. Growing residential & commercial hub. Ayyappanthangal is a fast developing residential hub of West Chennai, with easy connectivity to all roads like P.H.Road, GST Road, with lot of residential projects by leading builders, closer to IT Hub like DLF IT park. Madipakkam is good residential locality with all leading retails stores , schools , colleges & Hospitals, which is closer to IT parks and easy access to all the parts of city by Train & Bus, connecting GST & OMR. Dugar Sky City is an excellent Gated community with all amenities, closer to CMBT, Metro, Koyambedu wholesale market, walk-able distance from P.H Road, near to all leading schools, calm location. Chetpet is situated in one of the water bodies in Chennai, now the lake is developed as a Eco park, tourist spot with Walking track, fishing and boating. Chetpet is in the heart of the Chennai city ,well connected by Road & Railway lines and closer to one of the leading Schools, Hospitals & Colleges. 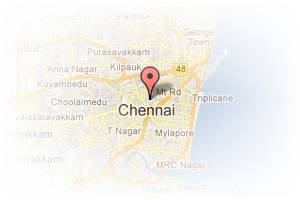 Address: Near Anna Nagar Tower Park, Anna Nagar, Chennai, Tamil Nadu, India. 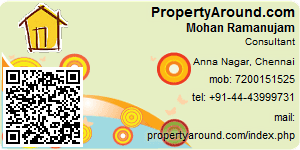 This Broker Profile page for "PropertyAround.com" has been created by PropertyWala.com. "PropertyAround.com" is not endorsed by or affiliated with PropertyWala.com. For questions regarding Broker Profiles on PropertyWala.com please contact us.